I had the honor and privilege of singing some background vocals and playing some keyboard tracks and recording background vocals on the all-star Generosity Water Project. 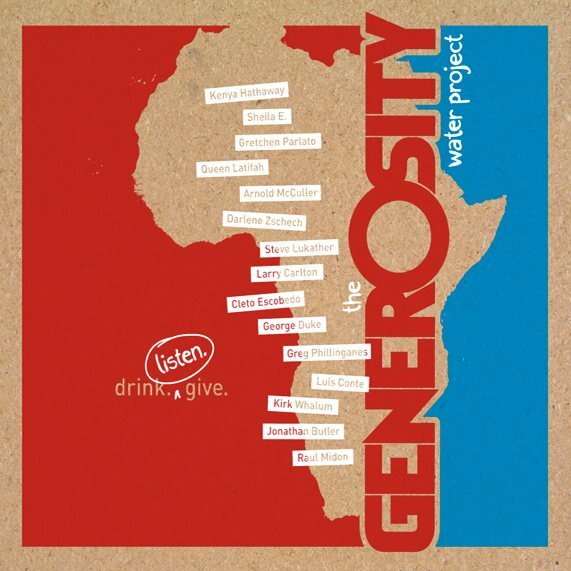 Generosity Water is a fantastic life-giving charity that raises money to bring clean drinking water to the millions in Africa who don’t have it. An amazing roster of artists came together to contribute water-themed songs to this collection: Kirk Whalum, Queen Latifan, Darlene Zschech, Greg Phillinganes, Steve Lukather, Larry Carlton, Cleto Escobedo, Jonathan Butler, George Duke, and more. The album was produced by my good friend and world-class bassist Dan Lutz along with legendary keyboard player Jeff Babko. May I encourage you to purchase the album from Amazon MP3 or iTunes to support this very worthy cause.